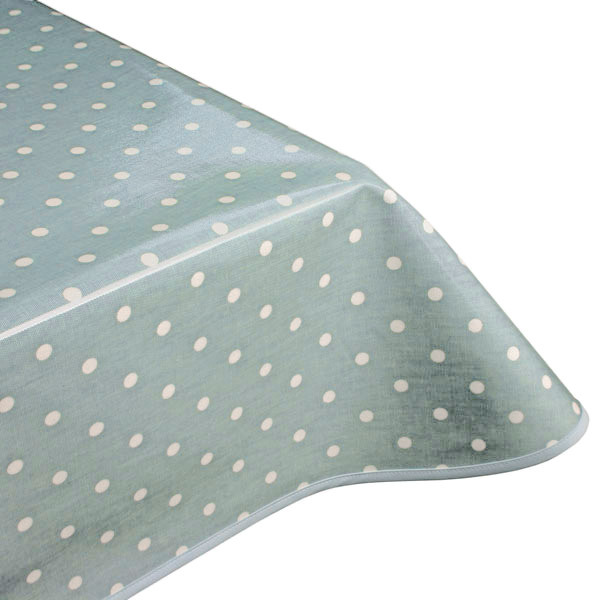 If you’re a fan of the vintage, shabby-chic style, this oilcloth tablecloth is for you! The colour is a mix between duck egg blue and seafoam, creating a beautiful azure colour. 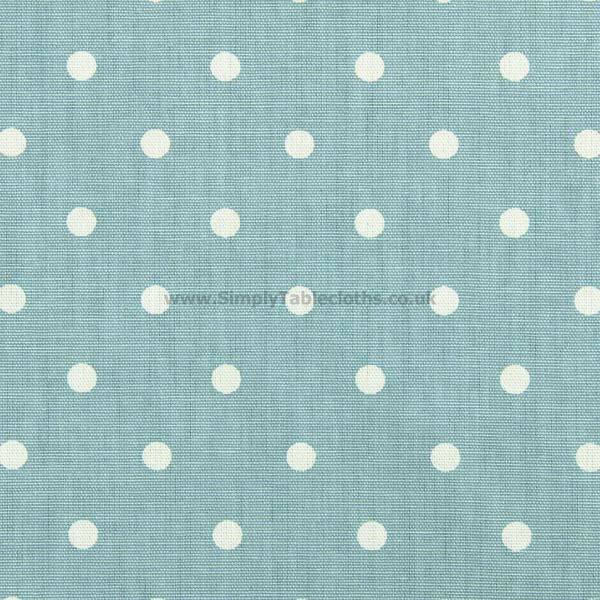 Bringing a hint of preppy flavour is the white polka dots – fun yet classic. Add the binding along the edge for a refined look, and rest assured that the wipe clean surface will keep this cloth looking neat. Also available in a matt finish.